With the Dark Ages project now complete and the three battles of 1066 fought to their historical conclusions it’s time to turn my attention to my next project. Or should I say projects ! 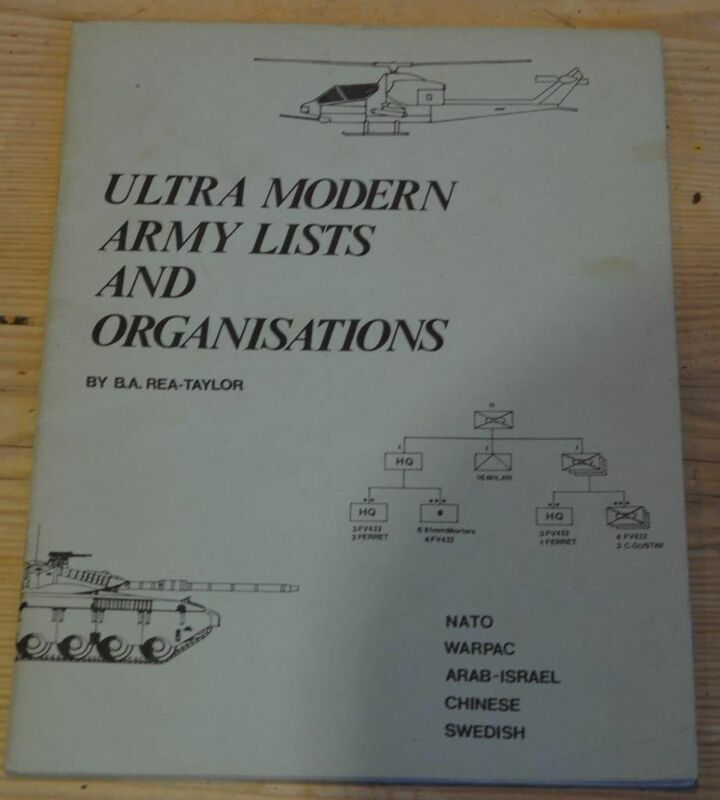 The first of these was determined by an article carried in Wargames Illustrated at the end of last year. I was fascinated to read that the Plastic Soldier Company (PSC) was going to launch a 10mm range of kit for the Cold War. 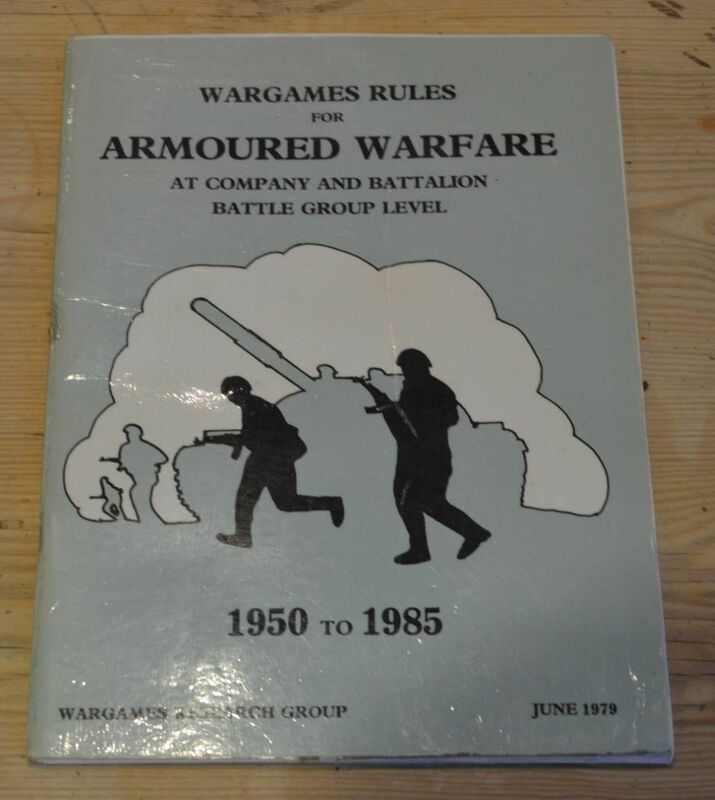 This really did spark my interest as one of my very first forays into historical wargaming focussed on the modern period. 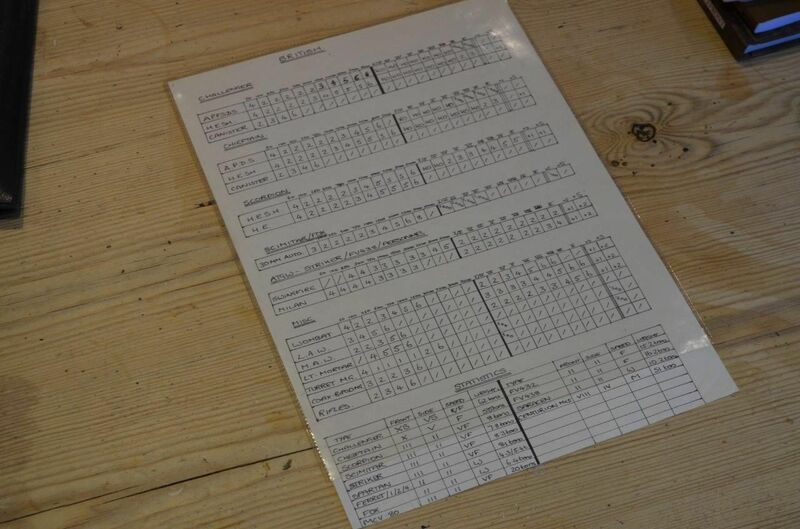 Back in the eighties we were playing ‘what if’ scenarios of Warsaw Pact versus Nato. We used the old WRG rules and fought out our battles with the tiny tanks and figures from Heroics and Ros. All the terrain has long since gone but I still proudly possess my Warsaw Pact forces, the rules and the excellent Army lists. The idea of rekindling my youthful days of Cold War engagements struck home and I got really excited about thinking of fielding this in 10mm. 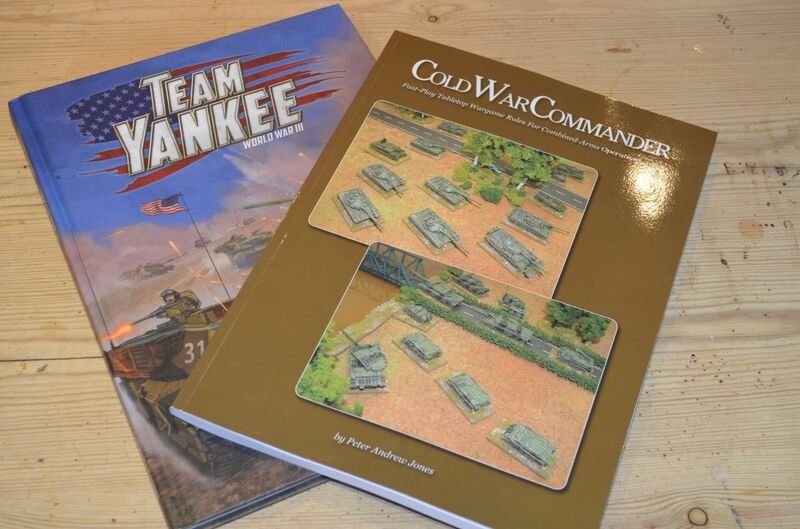 Since the early days of the WRG rules a number of new rules have emerged including Team Yankee and Cold War Commander. I have bought copies of both and after a cursory read through still think the original set my serve my purposes well. Sadly a quick email to PSC revealed that their ranges would not be available until later this year. Not to be outdone, I scoured the internet and found a few sellers of metal 10mm models. Some orders were placed and this project has now kicked off in earnest. A later post will highlight and list the ranges available in this scale and the progress that has been made. With a large stack of generic 10mm terrain already available I just need to create 80’s Germany. So think roads, buildings and other paraphernalia. Fortunately model railways suppliers of N guage will come to my rescue and over the coming months you will see this project come to life. 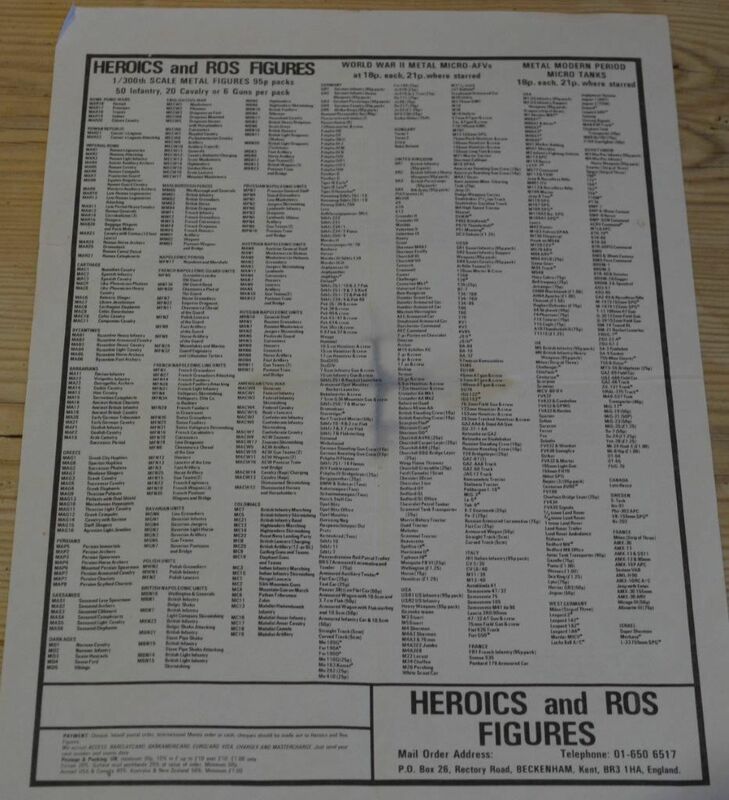 Stop Press: In the same folder I found my rulesets I found the old price list for Heroics & Ros - this is almost 40 years old ! The second project is something much bigger and more akin to the big 28mm scales armies I have built over the last few years. This new project is to recreate the Roman invasion of Britain. Inspired in part by the excellent Simon Scarrow legion books, I am going to build the Legions of Britain and their woad painted foes, the Ancient Brits. I started thinking about this project about five months ago and having been steadily building up the plastic forces through judicious purchases on ebay. I now have several hundred Celts and Romans to assemble. Ultimately I envisage about 1000 figures on the table – around 400 Romans and 600+ Celts. Like all my previous builds these will all be plastic, the good news is that Victrix have recently launched a range of Celts and Gauls who will augment all the Warlord games boxes I have bought. I've started buying 15mm stuff for a CWGH project for next year, so I'll be following your 10mm project progress with added interest. Yes, interested to see where you Cold War project goes. I've thought for a while that 10mm is the ideal scale for this. Plastic will make it nicely affordable too. New projects are always good, putting new life into a hobby. I will be watching that space, looking for progress. I have been musing over a cold war project for a while. I just can't decide between 10mm or 15mm. Excellent choices! Looking forward to seeing the projects develop. Happy memories. WRG rules and Heroics&Ros Arab-Israeli Wars. Seems a lifetime ago! If you want cheaper beer go north young man. Depending upon the size of engagements you intend to game, Sabre Squadron is definitely worth looking at IMO.